Make use of convenient amenities, which include concierge services and a reception hall. 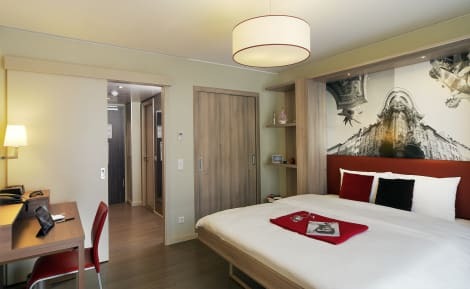 A smart, modern hotel close to Munich Central railway station and a short walk from Karlsplatz, Helvetia Hotel Munich City Centre is a well-positioned place to stay in the heart of Munich. The air-conditioned rooms come equipped with free wi-fi access, flatscreen TVs and private bathrooms. Kick start your day with a rich buffet breakfast served in the dining rooms, while staff at the 24-hour reception are happy to help when it comes to offering advice on where to go and what to see. This hotel was built in 1980. 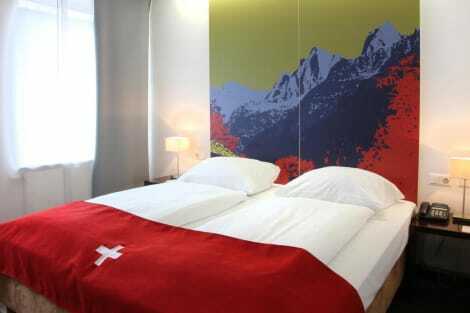 The new Aparthotel Adagio München City is located in the heart of Bavaria's capital, close to the main train station. The apartments, from studios for two people to two-room apartments for four, are modern and fully equipped with kitchen, desk etc. This Aparthotel offers all the services you could want, such as breakfast, Internet access, private indoor parking and a fitness room where you can unwind. Enjoy a privileged central location in the city of Munich from the comfortable and cosy 3-star Novum Hotel München am Hauptbahnhof, just moments from the main train station and within walking distance of many of the main tourist attractions including the famous Stachus and the Church of our Lady. Bright rooms are fitted with flatscreen TV, free wi-fi, and heating. Fuel up with a buffet-style breakfast (14,90€) and unwind in the evenings with a drink or two from Geierwally, the hotel bar. This smart hotel is close to Munich's central station and ideally located for taking in the sights of the city centre. Designed with a sense of striking and individual style, the hotel has a colouful restaurant and provides free wifi access in its comfortable lobby. The en suite rooms come with flat screen TVs and free wifi.